Kurrasch’s research is focused on genetic programs that govern hypothalamic development using both mice and zebrafish as model organisms. 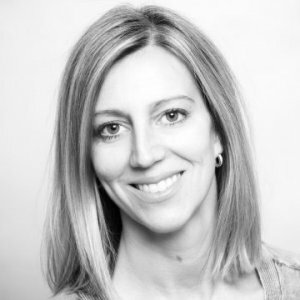 Deborah M. Kurrasch is an Associate Professor in the Department of Medical Genetics at the University of Calgary and a Scientist at the Alberta Children’s Hospital Research Institute. 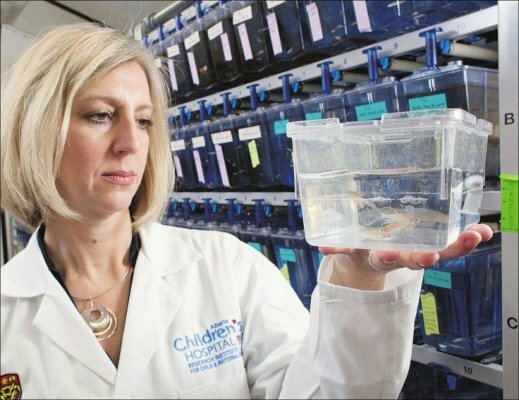 Dr. Kurrasch’s research is focused neural development using both mice and zebrafish as model organisms. The Kurrasch laboratory is particularly interested in how chemicals in our environment might be affecting normal brain development in utero. Her lab has shown that the exposure to the plasticizer bisphenol A (BPA) and its replacement BPS causes more neurons to be born at the wrong time, thereby potentially leading to inappropriate circuitry formations that may lead to problems later in life such as ADHD. Currently, her lab is exploring potential agents that may block the effects of these chemical during pregnancy and also is now collaborating with clinicians to translate her work into humans. In addition, her lab has also developed a novel drug screening platform that uses zebrafish seeks to uncover therapies for a variety of CNS disorders. Their lead compound is now starting clinical trials for epilepsy and she is now pivoting her platform to other clinically resistant disorders such as autism. Her work is funded by the Canadian Institutes of Health Research, Natural Sciences and Engineering Research Council of Canada, among other private foundations, and she currently is the Lead PI on a large, multi-center grant funded by Brain Canada. Dr. Kurrasch received her PhD in Molecular Pharmacology from Purdue University and conducted two postdoctoral fellowships, one at the University of Texas – Southwestern Medical Center in Dallas and one at the University of California – San Francisco. Dr. Kurrasch has received various awards for her scholarly work, and was recently selected to Calgary’s Top 40 Under 40 (2012). "They are our educators, innovators and entrepreneurs. They rule the C-suite and both the corporate and volunteer boardrooms. Whether in the arts, non-profits, oil and gas, law, finance or medicine, they are doing more and doing it better and faster." 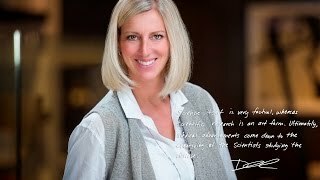 CEO and Co-Founder : Path Therapeutics Inc. The Discovery Grants Program supports ongoing programs of research (with long-term goals) rather than a single short-term project or collection of projects. "High-impact research in neuroscience and mental health has always required skill, imagination, determination and insight, and nowadays it also requires access to shared equipment, facilities, services, databases, computing and informatics facilities, patient repositories, and biobanks, collectively referred to as technology 'platforms'." Program to recruit top-tier postdoctoral fellows, 50 awarded/200 applicants. For Molecular Mechanisms Governing Hypothalamic Development and Disease. For Regulation of Neuropeptidergic Cell Homeostasis. Exposure to environmental contaminants has been linked to developmental and reproductive abnormalities leading to infertility, spontaneous abortion, reduced number of offspring, and metabolic disorders. Axons from the visceral motor neurons (vMNs) project from nuclei in the hindbrain to innervate autonomic ganglia and branchial arch-derived muscles. Although much is known about the events that govern specification of somatic motor neurons, the genetic pathways responsible for the development of vMNs are less well characterized. Normal brain development requires coordinated cell movements at precise times. It has long been established that cell–cell adhesion proteins of the cadherin superfamily are involved in the adhesion and sorting of cells during tissue morphogenesis. In the present review, we focus on protocadherins, which form the largest subfamily of the cadherin superfamily and mediate homophilic cell–cell adhesion in the developing brain. Purkinje cells of the developing cerebellum secrete the morphogen sonic hedgehog (SHH), which is required to maintain the proliferative state of granule cell precursors (GCPs) prior to their differentiation and migration to form the internal granule layer (IGL). Despite a wealth of knowledge regarding the function of SHH during cerebellar development, the upstream regulators of Shh expression during this process remain largely unknown. Here we report that the murine short stature homeobox 2 (Shox2) gene is required for normal Shh expression in dorsal-residing Purkinje cells. Here we demonstrate that bisphenol A (BPA) exposure during a time point analogous to the second trimester in humans has real and measurable effects on brain development and behavior. Furthermore, our study is the first, to our knowledge, to show that bisphenol S, a replacement used in BPA-free products, equally affects neurodevelopment.